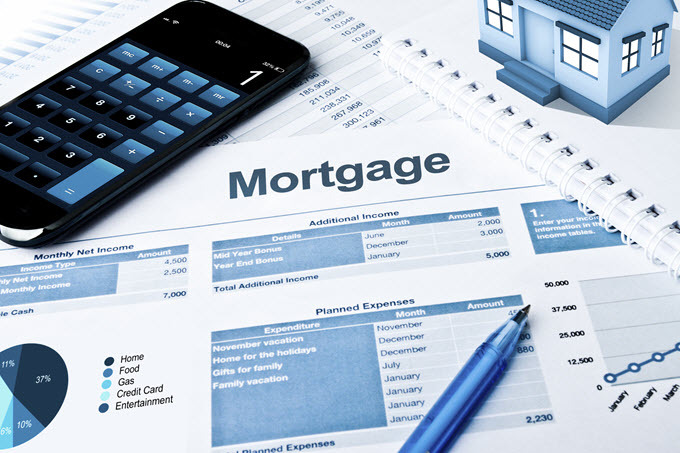 A mortgage is a huge commitment, in both money and time. This calculator can help you compare the costs of the monthly payment, total principal, total interest, and total cumulative payments of a loan across five different loan terms: 10 years, 15 years, 20 years, 25 years, and 30 years. First enter the mortgage principal and the expected annual interest rate. Press CALCULATE and you’ll get a cost comparison across the five loan terms. For future reference, click on “Printer Friendly Report.” A new browser window will open with a printable version of the cost comparison. Owning your own home is a liberating feeling. If you are still paying your mortgage, however, you do not truly own your home. If you ever stopped making your payments, the bank would take it back from you. In order to truly experience the pride of home ownership, you must pay off the loan. The problem is that if you are like most people, you have a 30-year conventional loan. So, you are probably a long way from making your last payment. With rates hovering near historic lows, now is the perfect time to consider refinancing to a 15-year loan. Here are four reasons why you should. That line may sound like a sales pitch, but it's true. Here is an example. If you are the borrower for a $300,000 30-year mortgage at 4.5 percent interest, you will pay $547,220.13 over the course of the line. So, almost a quarter of a million dollars is directed toward paying the interest. In other words, the loan you believe costs $300,000 is in actuality almost twice that amount. You obviously would prefer to pay less than $247,220.13 over the course of your loan. After all, that is basically a second house worth of money. Refinancing to a 15-year mortgage will not negate your interest payments completely, but it will basically cut them in half. Consider the same $300,000 mortgage at 4.5 percent interest but for 15 years. The total interest paid is reduced to $113,096.38 while the overall payment over the duration of the loan is $413,096.38. That is a savings of $134,123.75. The only catch is that you will have a larger monthly payment for a 15-year mortgage. In the example above, the difference would be $2,294.98 monthly for a 15-year loan as opposed to $1,520.06 for a 30-year loan. You are probably wondering how this is possible. One of the unheralded aspects of a 30-year mortgage is that the first decade of your mortgage payments largely goes toward paying the interest rather than the principal. Unless you pay more than the required monthly payment, you do not make significant progress toward neutralizing the balance of your loan. With a 15-year mortgage loan, you are paying more money each month, but a large portion of that payment goes directly toward the principal. So, the underlying interest charges are less impacting. In addition, there is a common sense aspect. You are only paying interest for 15 years rather than 30. That aspect alone cuts the overall interest payment in half. The rest of the reduction in total interest paid is due to the higher percentage going to equity plus the lessening of compound interest. In the prior calculations, the presumption was made that the interest rates were identical. In practice, this is not the case. In reality, an interest rate as much as 50 percent cheaper is a distinct possibility. Such a discount saves you even more money. Using the same $300,000 figure for 15 years, a 3 percent interest rate would lead to total payments in the amount of $372,914.09. Only $72,914.09 of that amount goes directly toward interest. The inference here is unmistakable. In this example, a 30-year mortgage at 4.5 percent APR has a total cost of $547,220.13, almost $175,000 more than a 15-year mortgage at 3 percent APR. Plus, the lower interest rate means lower payments. At 3 percent for 15 years, the customer would only pay $2,071.74, about $550 more than a 30-year loan. Look at how much money is saved over the duration of those three decades in exchange for paying roughly $6,600 more annually. The definition of home equity is that it is the overall value of your home less the amount of money you owe on your mortgage. Building equity is a simple process. You make your monthly payments. There are other factors you cannot control with regards to the value of your home, of course, but it is fair to assume that your home will maintain its value over the next few years. As long as you make your payments, you build equity. Since you now understand that you pay more toward interest than principal during the first decade of a conventional 30-year mortgage, you should see where this conversation is headed. A 15-year mortgage means that more of the payment is directed toward the principal. Paying off the principal balance is the same as building home equity. With a 15-year mortgage, you kill two birds with one stone. Your interest rate is lower, so you automatically pay more of your balance. Plus, your mortgage is half as long, so you neutralize more of your balance that way as well. With a 15-year loan, you will build equity faster than you ever could have imagined with a conventional 30-year loan. The extra equity is important for another important reason for homeowners. If you ever want to remodel your home, it can be an expensive process. If you lack the funds to accomplish your new housing makeover goals, simply refinance once more. The equity you have gained is effectively cash that you can acquire for remodeling. It is also nice to have if there is ever an emergency situation with your home. If you want to relish in that liberating feeling of owning your own home, all you need to do is pay off your mortgage balance. It is obvious that 15 years is half the time of 30 years. That is a significant portion of your life where you are free from the obligation of a monthly mortgage payment. All of the money you currently direct toward your housing lender suddenly becomes disposable income that you can use for other purposes such as a new car, an exotic vacation, or new investments for your future. Mortgage lenders will naturally guide you toward a conventional 30-year mortgage, and you should understand why now. They make hundreds of thousands of dollars more from you if you accept the longest term possible. As a borrower, you want the mortgage that earns you the most equity with the lowest interest rate, which is the 15-year loan.